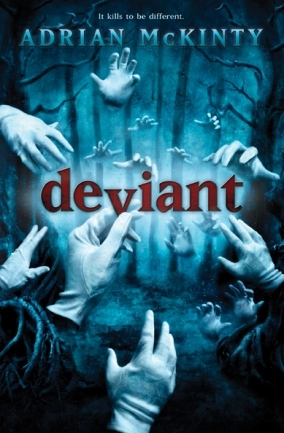 Here's the cover of my new YA novel Deviant which will be out in October from Abrams. Pretty creepy image, eh? And here's a link to artist Vincent Chong's blog where he talks about the process that went into designing this cover. The book incidentally is not grounded in anything supernatural but is a young adult noir (if such a genre exists) that takes place in present day Colorado Springs. I should be getting galleys of the book in a few weeks and when I do I'll give a couple away on the blog.